Replace the WRC intercom kit in your Stilo open face helmets. 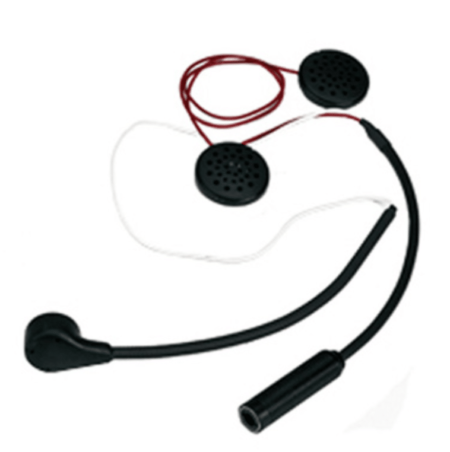 Comes supplied with extra thin speakers, a noise cancelling magnetic-dynamic microphone, a flexible microphone boom and a professional Stilo jack. For higher noise use, please consider using the Stilo “Replacement WRC Intercom Kit With Earmuffs For Open Face Helmets.